NOVA Plas Mold Pvt. Ltd.
We at NOVA Mold Plast Pvt. 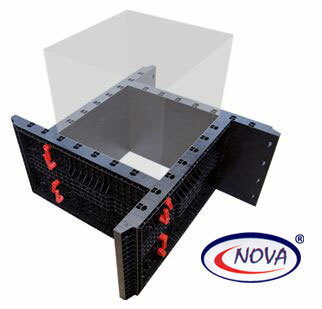 Ltd. are introducing first time in India a wonderful product for construction industries, "Nova Formwork". Plastic Shuttering building system represent a revolution in the area of shuttering because of their universality, lightness, simplicity, durability, solidity, resistance to temperature change and of course their price competitiveness. This is the only shuttering that can use in salt & fresh water without any damage. ICON Plast (INDIA) Pvt. 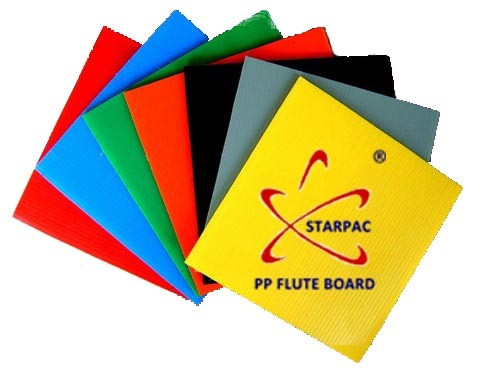 Ltd.
Now introducing pp corrugated cross flute board. It has good toughness and breakdown endurance, high impact, resistance, low permeability and high temperature resistance, good solvent resistance and high corrosion resistance. These sheets can be used in various applications like display racks, partitions, table tops, crates, almirah shelving, kitchen cabinets and many other places. Advertising: sign board, shop window displays, pop-up displays, exhibition boards, picture frame backing, digital printing and screen-printing. Packing: the Sheet can easily be bent and cut, it can be designed as all kinds of transportation box, mailbox, display rack, partition, gift boxes, food packing etc. Cable Guard: PP CORRUGATED sheets are being widely used as cable-guard in the wire and cable industry for protecting products while transportation on reel/drums.